I hope you have many great projects planned for your hook this summer! choose at least one project that takes a little more concentration. A few years ago I made a project that was quite a challenge. online recently everyone fell in love with this afghan! I am doing a ripple stich afghan and is for a small size. when I get done with this one I want to make the larger size but don't understand what I need to do. the size that I am currently doing is a 42 x 84 I want to make a double/queen. the one I am doing now you 9sc 3sc in next chain 9sc skip 2. the pattern for the larger size says to make it twice as wide (20 ripples) and half as long maybe an extra 100 rows. 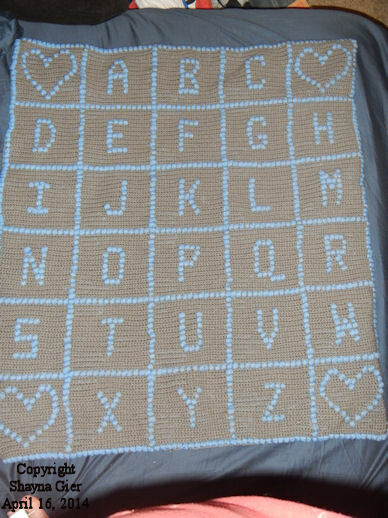 so my question is do I do 18sc 6sc in next chain 18sc and skip 4 or do I follow the same instructions and chain 309 because this fist pattern says to chain 209 thanks ahead of time for any help you can give me because I am a beginner in crochet don't know a lot of stiches accept single and double crochet. If you like the current size of the ripples then keep working each ripple with 9sc. Making each ripple with 18sc would each ripple twice as tall as well as twice as wide. In order to increase the afghan size you need to see how many stitches are used for each ripple (mountain, peak and valley). A standard Queen size is 60" x 80". If one ripple repeat measures 5 inches wide then you would need a total of 12 ripples to measure 60 inches wide. 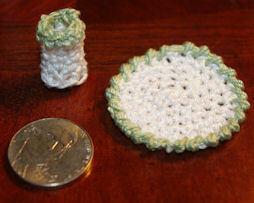 Now you need to add one chain (the height of one single crochet) in order to begin the pattern. So your total number of chains needed for your foundation chain is 253. To adjust the length just keep on crocheting until the afghan measures 80" long. I sent you a private message about emailing me the photo. something to be enthusiastic about. Now it came about after the death of Moses the servant of the Lord that the Lord spoke to Joshua the son of Nun, Moses' servant, saying, "Moses My servant is dead; now therefore arise, cross this Jordan, you and all this people, to the land which I am giving to them, to the sons of Israel. Every place on which the sole of your foot treads, I have given it to you, just as I spoke to Moses. From the wilderness and this Lebanon, even as far as the great river, the river Euphrates, all the land of the Hittites, and as far as the Great Sea toward the setting of the sun, will be your territory. No man will able to stand before you all the days of your life. Just as I have been with Moses, I will be with you; I will not fail you or forsake you. Be strong and courageous, for you shall give this people possession of the land which I swore to their fathers to give them. Only be strong and very courageous; be careful to do according to all the law which Moses My servant commanded you; do not turn from it to the right or to the left, so that you may have success wherever you go. This book of the law shall not depart from your mouth, but you shall meditate on it day and night, so that you may be careful to do according to all that is written in it; for then you will make your way prosperous, and then you will have success. Have I not commanded you? Be strong and courageous! Do not tremble or be dismayed, for the Lord your God is with you wherever you go." Blessed the Lord, O my soul! O Lord my God, Thou art very great; Thou art clothed with splendor and majesty, covering Thyself with light as with a cloak, stretching out heaven like a tent curtain. He lays the beams of His upper chambers in the waters; He makes clouds His chariot; He walks upon the wings of the wind; He makes the winds His messengers, flaming fire His ministers. He established the earth upon the foundations, so that it will not totter forever and ever. Thou didst cover it with the deep as with a garment; the waters were standing above the mountains. At Thy rebuke they fled; at the sound of Thy thunder they hurried away. The mountains rose; the valleys sank down to the place which Thou didst establish for them. Thou didst set a boundary that they may not pass over; that they may not return to cover the earth. He sends forth springs in the valleys; they flow between the mountains. They give drink to every beast of the field; the wild donkeys quench their thirst. Beside them the birds of the heavens dwell; they lift up their voices among the branches. He waters the mountains from His upper chambers; the earth is satisfied with the fruit of His works. He causes the grass to grow for the cattle, and vegetation for the labor of man, so that he may bring forth food from the earth, and wine which makes man's heart glad, so that he may make his face glisten with oil, and food which sustains man's heart. The trees of the Lord drink their fill, the cedars of Lebanon which He planted, where the birds build their nests, and the stork, whose home is the fir trees. The high mountains are for the wild goats; the cliffs are a refuge for the rock badgers. He made the moon for the seasons; the sun knows the place of its setting. Thou dost appoint darkness and it becomes night, in which all the beasts of the forest prowl about. The young lions roar after their prey, and seek their food from God. When the sun rises they withdraw, and lie down in their dens. Man goes forth to his work and to his labor until evening. O Lord, how many are Thy works! In wisdom Thou hast made them all; the earth is full of Thy possessions. There is the sea, great and broad, in which are swarms without number, animals both small and great. There the ships move along. And Leviathan, which Thou hast formed to sport in it. They all wait for Thee, to give them their food in due season. Thou dost give to them, they gather it up; Thou dost open Thy hand, they are satisfied with good. Thou dost hide Thy face, they are dismayed; Thou dost take away their spirit, they expire, and return to their dust. Thou dost send forth Thy Spirit, they are created; and Thou dost renew the face of the ground. Let the glory of th Lord endure forever; Let the Lord be glad in His works; He looks at the earth, and it trembles; He touches the mountains, and they smoke. I will sing to the Lord as long as I live; I will sing praise to my God while I have my being. Let my meditation be pleasing to Him; as for me, I shall be glad in the Lord. Let sinners be consumed from the earth, and let the wicked be no more. Bless the Lord, O my soul. Praise the Lord! And immediately He made the disciples get into the boat, and go ahead of Him to the other side, while He sent the multitudes away. And after He had sent the multitudes away, He went up to the mountain by Himself to pray; and when it was evening, He was there alone. But the boat was already many stadia away from the land, battered by the waves; for the wind was contrary. And in the fourth watch of the night He came to them, walking on the sea. And when the disciples saw Him walking on the sea, they were frightened, saying, "It is a ghost!" And they cried out for fear. But immediately Jesus spoke to them, saying, "Take courage, it is I; do not be afraid." And Peter answered Him and said, "Lord if it is You, command me to come to You on the water." And He said, "Come!" And Peter got out of the boat, and walked on the water and came toward Jesus. But seeing the wind, he became afraid, and beginning to sink, he cried out, saying, "Lord, save me!" And immediately Jesus stretched out His hand and took hold of him, and said to him, "O you of little faith, why did you doubt?" And when they got into the boat, the wind stopped. And those who were in the boat worshiped Him, saying, "You are certainly God's Son!" WE LEARN THE STRENGTH OF THE ANCHOR ." Who was the son of Nun? Every crocheter's tension is different. Your tension determines how your stitches look. To ensure even tension of your stitches always hold the hook and yarn the same way. It doesn't matter which way you decide to hold the hook and yarn as long as it is comfortable for you. And as always, practice makes perfect! When an instruction is in parentheses it will be repeated as instructed directly after the ending parenthesis. Chain 1 in parentheses without an instruction directly after is should just mean to chain 1. The next set of parentheses ask you to make a treble crochet, one chain and another treble crochet in the next chain space for a total of 6 times. I am making a Double Ruffle Granny Baby Afghan and I don’t understand how to do the second ruffle. The pattern says “Join Pink in the unworked lp of any st on R33 (at the base of the first ruffle). I know lp means loop. Does this mean to work in a chain stich? If so, do I start with the white ruffle at the top of the afghan or do I start with the white ruffle at the bottom of the afghan. Do you have a tutorial where I can see how to do it? I would appreciate you getting back to me as soon as you can. The first ruffle is all worked in the Back Loops Only. The second ruffle is worked in the Front Loops (the unworked loops) from that same round. Hold the edge away from you and work into those unworked loops to complete the second ruffle. ok i have a question what is DcDec2tog and how do you do it? DcDec2tog stands for Double Crochet Decrease 2 Together. 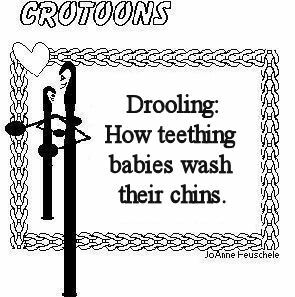 This means you will make two double crochets become one. then dc in the next stitch without completing the last step. You should have three loops on the hook then yarn over and draw through all the loops. Thank you so much Dianne... I try to share patterns I think everyone might like. 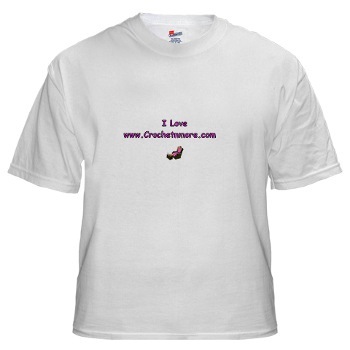 This one is not my design however. I have some directions that say*skip 2 stitches, (sc,2dc) in next stitch. What do the parenthesis mean? Do a sc and 2 dc in next stitch or 2 dc in next sc? When an instruction is in parentheses you will do everything inside parentheses according to what is just after it. For your instruction you have an asterisk as well as parentheses. An asterisk is used when a designer wants to have you repeat a certain set of instructions... keep in mind that will be mentioned again later in your pattern. So you need to skip 2 stitches... then work a single crochet and two double crochet stitches all in the next stitch. Here's the completed project :). I absolutely love the final result. First of all thank you for your website. I have learned so much; however, I did see you said if anyone needed help to email you. 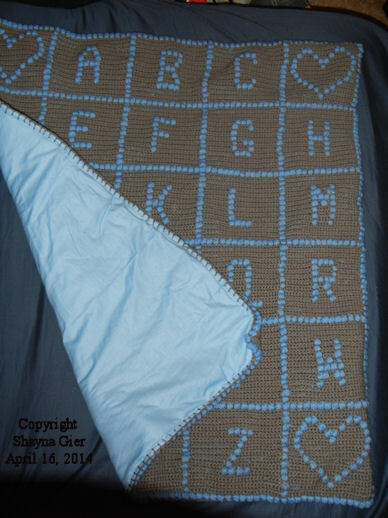 I downloaded an afghan pattern from http://www.allfreecrochetafghanpatterns.com. It's called Sassy Sunflower Afghan. 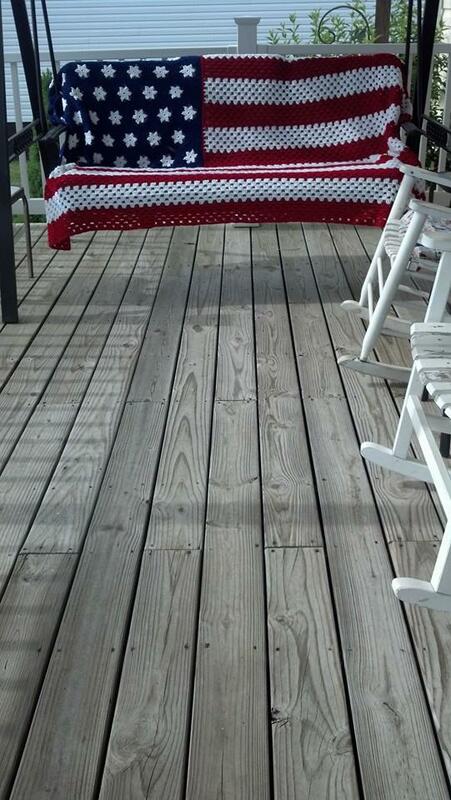 I want to do a memory afghan for my sister-in-law. My brother passed away recently and his favorite flower was the Sunflower. I am not a beginner, but recently picked up crochet again after no doing it for so many years. I usually can figure out a pattern but this has me really bummed out. I am at Rnd 5: Beg cl; *ch 5, cl over next 4 sts; rep from * around, ending ch5: with green sl st to top of beg cl with green-12 petals. Fasten off gold. I hadn't done the cluster stitch before. The first petal was easy and it was beautiful to see how the cluster created this petal. But the ending stitch is at the top of the cluster. How do I repeat the next ch5 and clusters around the brown center? I have searched and searched on the internet and cannot figure out how to get from the tip of the petal back to the center to chain 5 again. It doesn't say to fasten off and if I take the top of the petal and start a new chain of 5 stitches, it just brings the petal bending toward the side. There must be something missing here. I would greatly appreciate it if you could look up this pattern and help me break it down as all the other sunflower afghans weren't as pretty as this one was. It is probably a very simple answer and I just can't see it. I look forward to searching more patterns from your website and help me with this pattern. > I hadn't done the cluster stitch before. > The first petal was easy and it was beautiful to see how the cluster created this petal. > But the ending stitch is at the top of the cluster. Ch 4 (counts as tr), holding back last lp of each st on hook, tr in next 3 sts, yo and draw through all 4 lps on hook. Holding back last lp of each st on hook, tr in next 4 sts, yo and draw through all 5 lps on hook. Now you repeat the instructions from the asterisk all the way around and end by making 5 more chains. Now you use green and slip stitch to the top of the beginning cluster. and draw the green through the cluster and the chain stitch on your hook. You should have 12 petals when you finish Round 5. > How do I repeat the next ch5 and clusters around the brown center? Rounds 4 and 5 are the gold part of the sunflower which includes all the petals for that motif. > I have searched and searched on the internet and cannot figure out how to get from the tip of the petal back to the center to chain 5 again. > It doesn't say to fasten off and if I take the top of the petal and start a new chain of 5 stitches, it just brings the petal bending toward the side. There must be something missing here. You don’t have to do more petals for the current square... Round 6 begins the green border around the actual sunflower. now you work one slip stitch in the first chain 5 space. Work 6 single crochets in each of the remaining chain 5 spaces around. You should have 72 singles when finished... not join with a slip stitch in the first single crochet you made. Round 7 says you work in each stitch around... meaning one stitch in each stitch. 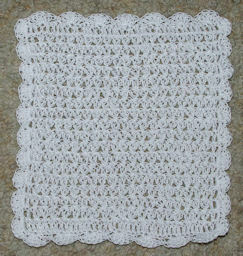 Begin with a chain 4 which will count as one treble crochet. Work a double crochet in the next stitch. Work a half double crochet in the next stitch. now repeat from the asterisk * around... ending the last repeat at the double asterisk **. Slip stitch in the top of the beginning chain 4 and fasten off. 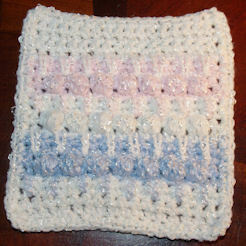 Do you a video demonstration of the crochet bead hotpad stitch? I have the instructions from your web site, but I would like to see it done on a video. Not at this time... but I will definitely add that to the list of video ideas. Yes, you can. 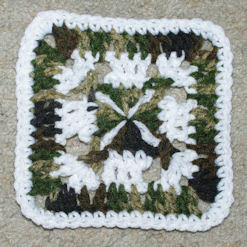 A viewer just sent in a photo of an afghan done with the puffs in a different color. she touched went bad...nothing was right. Trying to put things into perspective for her I asked, "What about the little girl who doesn't have any dinner tonight, or a place to call home or a bed? What about her?" Without missing a beat she answered, "Well, I bet this is the worst day of HER life, too!" playing chase the dog around the house. She tripped over the dog and got an "owie" on her knee. He didn't see any type of injury, but Uncle Juan kissed it to make it better. Katelyn said it felt better, but two Oreo cookies would make it feel much better. and came to rest on my lawn. I helped the elderly driver out and sat her on a lawn chair. "My goodness" I said, "you're quite old to be driving! Do you even have a license?" "No" she replied, " I'm so old that I don't need a drivers license anymore." "The last time I went to my doctor, he examined me and asked if I had a drivers license." I told him "yes" and handed it to him. He took scissors out of a drawer, and cut my license into pieces and threw them in the wastebasket." He said, "You won't be needing this anymore!" One Sunday, just as the minister was reaching the height of his sermon, his own young son entered the church, ran to the center aisle, started making loud beeps and brrrmms like a car without a muffler, then zoomed right toward him. The sermon continued undisturbed...after a good laugh by the congregation. Teacher: Joey, if you put your hand in one pants pocket and found 75 cents, then you put your other hand in your other pants pocket and found 50 cents, what would you have? Joey: I'd have somebody else's pants on! Jim was looking for a bank and stopped to ask directions. He asked Joe at the gas station how to get there. "Just drive down this road about 5 miles and then turn left at the Stop n Go." He drove 5 miles, no Stop-n-Go, then 6, then 7. At about 10 miles down the road, he stopped for directions again. This guy replied "Just go back down this road about 5 miles and turn right at the Stop n Go." for directions the answer was exactly the same. This time Jim asked "Could you describe the Stop-n-Go for me?" The man gave him a funny look and said, "It's on a pole. It's got a red light on the top, a green light on the bottom." An old man gets up every morning, goes out in front of his house, and sprinkles a white powder up and down the street. One day, a neighbor who has watched his routine for many years confronts him.
" What is this powder you sprinkle on the street every morning?" "It's special elephant powder," the old man said.
" It keeps the elephants away." "But," says the neighbor. "Everybody knows that there are no elephants in Nebraska." The old man just nodded, "I guess it must be working, then." Kathy, an RN, was unhappy with her job, so she submitted her resignation. She was sure she'd have no trouble finding a new position, because of the nursing shortage in her area. She e-mailed cover letters to dozens of potential employers and attached her resume to each one. Two weeks later, Kathy was dismayed and bewildered that she had not received even one request for an interview. Finally she received a message from a prospective employer that explained the reason she hadn't heard from anyone else. It read: "Your resume was not attached as stated. I do, however, want to thank you for the vegetable lasagna recipe." Max was caught red handed by a police officer in the very act of burglarizing a store. He was quickly brought to trial. “How do you plead? asked the judge. Rachel asked her mom for a dollar to give to a little old lady in the park. Kathy, impressed by her daughter’s kindness, gave her the dollar. "There you are Rachel," said Kathy. "But, tell me, isn't the little lady able to work anymore? "She sells candy" was Rachel's reply. Several women, each trying to one-up the other, appeared in court, each accusing the others of causing the trouble they were having in the apartment building where they lived. The judge, with Solomon-like wisdom decreed, "Okay, I'm ready to hear the evidence...I'll hear the oldest first."